OneDrive vs. iCloud Drive: Which is the Better Choice? 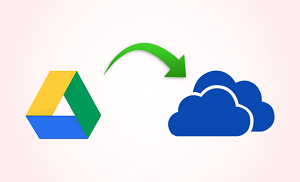 Getting confused about the difference between OneDrive and iCloud Drive? Don’t know which one is better for you? Take a look at this article on the comparison between OneDrive and iCloud Drive to solve all your questions. 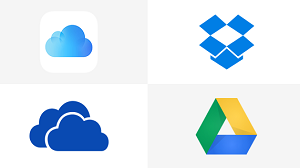 Home > AnyTrans for Cloud > Cloud Tips > OneDrive vs. iCloud Drive: Which is the Better Choice? OneDrive is the cloud services of Microsoft, which is made for storing, exchanging, transferring data or files online. As a product belonging to Microsoft Corp., it is convenient for Microsoft users to complete tasks like checking Outlook mail attachments or editing Word document online straightly on OneDrive. iCloud is the cloud-based storage service that makes it more convenient for Apple users to sync files between iOS devices. iCloud Drive is the program that can access these files across the iOS devices, which means that all the files you saved to the cloud will be synced to all the devices that signed up the same account. All the files in the iCloud Drive can be accessed in your fingertips. Considering the fact that both of them are the cloud services of major corporations, this article will guide you to fathom out the difference between the two products and render you help to choose the one that meets your need. For the two cloud storage service, both of them offers 5GB of free space. Here are storage tiers of the two cloud storage services. OneDrive attached with the subscription of Office365 apps (Word, Excel, PowerPoint, Outlook, OneNote): 1TB(1000GB) for $6.99 a month for individual; 5TB for $9.99 a month for 5 users. 2 TB for $9.99 a month. These storage tiers are applied for the whole iCloud storage which is shared with your iCloud Drive, iOS device backups, iCloud Photo Library and so on. Users that upgrade to the last two plans can use family sharing to share the cloud storage with up to 6 persons. OneDrive can render users a satisfying sync speed with a large number of servers sited all around the world. Moreover, OneDrive with its block-level copying can make the syncing of Office 365 files speedy across devices since the syncing is made by copying the parts of Office files that have changed rather than the whole file. 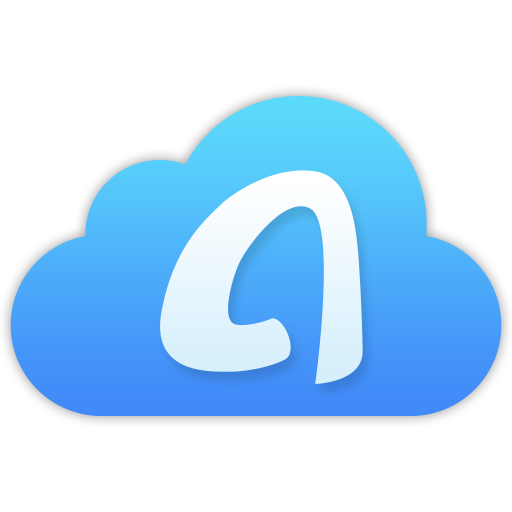 iCloud’s syncing speed may be not as good as other cloud services’ when handling large files. Also, iCloud can’t give you some choices to throttle the sync speed. It may be a quite annoying process for those persons who would like a speedy syncing of large files across the devices. OneDrive: The security has been an issue for OneDrive that only business plan of OneDrive provides the encryption at-rest. Also, OneDrive for Business provides users the encryption for each file. In this case, individual users’ data becomes quite vulnerable. However, in this year, OneDrive has added some great features to make the users’ files safer. OneDrive allows both business and personal users to recover files that have been attacked in the last 30 days. This feature, once only available for business users, now can help individual users keep their data safe. Besides, there is a protection of password for OneDrive links, which makes the user get more control over their sharing files and their sharing more secure with those non-Microsoft accounts. iCloud Drive: On iCloud, the data is encrypted using 128-bit AES and TLS in transit, which renders a great security to your files. For iCloud Drive users, Apple has no information or access to the encryption key that iCloud uses to encrypt all the data. Unlike other cloud services that keep a copy of users’ encryption key, iCloud connected the encryption key with your Apple ID. However, one flaw of iCloud’s security is the fact that the mail stored on there has no encryption at-rest. OneDrive has a close connection with Office 365 that both of them are integrated with the Windows office service on Windows 8/10. For those persons who are accustomed to working with Office 365, OneDrive would be a great option that can easily manage those files across devices. Nevertheless, the data of third-party apps can’t be easily accessed on OneDrive, which may disappoint some users. 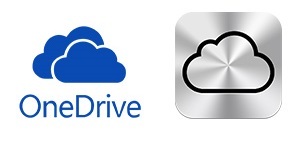 iCloud Drive, integrated with iCloud, can be easily accessed with no need to add an additional application. For Mac users, it can help you backup your desktop folders and documents. 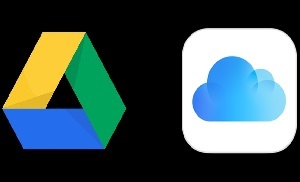 Unlike OneDrive, the data of many apps that are compatible on iOS or macOS can be stored on iCloud. In addition, as you might know, iCloud drive, designed for Apple users, is not available on Android device. 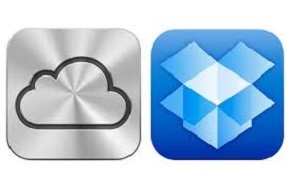 Several comparisons between OneDrive and iCloud Drive are shown in this article. Considering the difference between the two cloud services, both of them have cons and sins for different users. Hope this article can help you make your choice easier for the cloud service that meets your need.